I am doing this meme after seeing it on Stunning Keisha and Marv's blogs as well as many others that have joined in. 1. Where is your cell phone? Why would a cat want one of those? Aww, that is a lovely selfie of you both. Great questions and answers too. My mobile phone is shared with the house keeper so where it is at any given moment can oft' be a complete mystery! You two really fit purrfectly together. 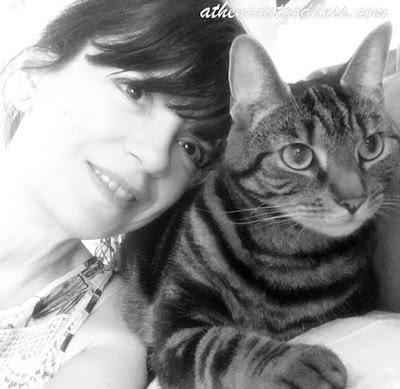 We sure love that selfie of you two, Athena and Mum. And your answers to those questions are terrific, too. We enjoyed learning more about you! Luvley selfiess Athena an Lady Marie!!! Two of thee purrtiest gurlss inn thee Bloggie werld! Goddess & Marie, those were lovely answers and very thoughtful. You and your momma are dears. Hugs! Head nuzzles. Ooh, a catio would be nice. I should put that on my wish list. It's always fun reading these lists and getting to know people better. 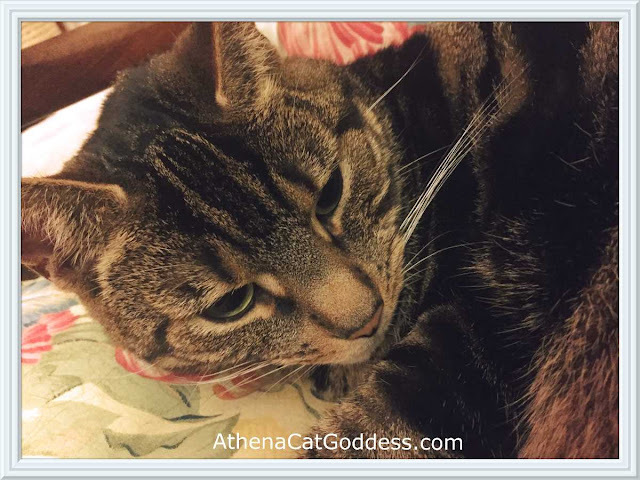 Athena, I hope you get that catio! We loved your answers! I think I should tell Mommy we need to participate! Marie, I think you vastly underestimate yourself, your abilities, and your impact. I understand because I minimize everything associated with me too. But I just wanted to be sure you know that we love you just as much as we adore Athena. Thank you. But Athena is the prettiest. Mummy is getting old. Marie, this post is really showing bonding in both of you. Selfie says a lot about this. And Athena you are so adorable.